Before watching The Martian (love the book, love the movie! 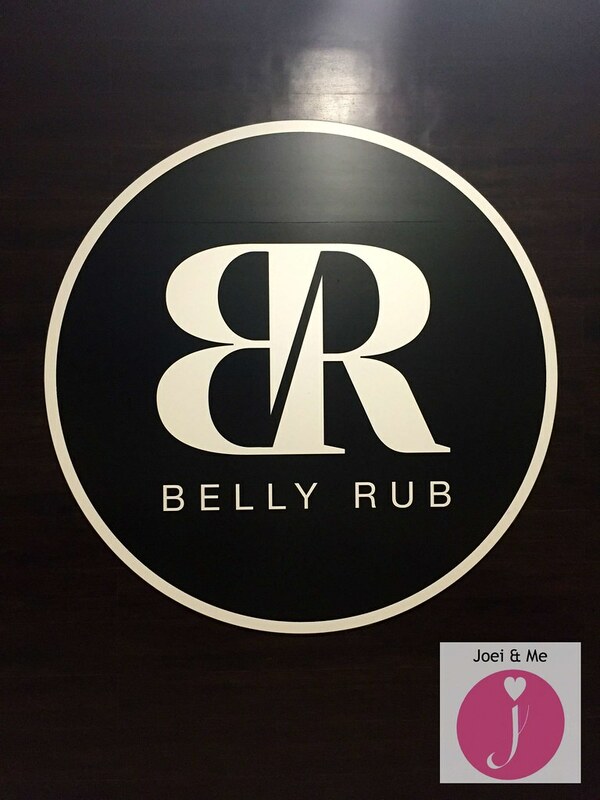 ), T and I have dinner at Belly Rub. 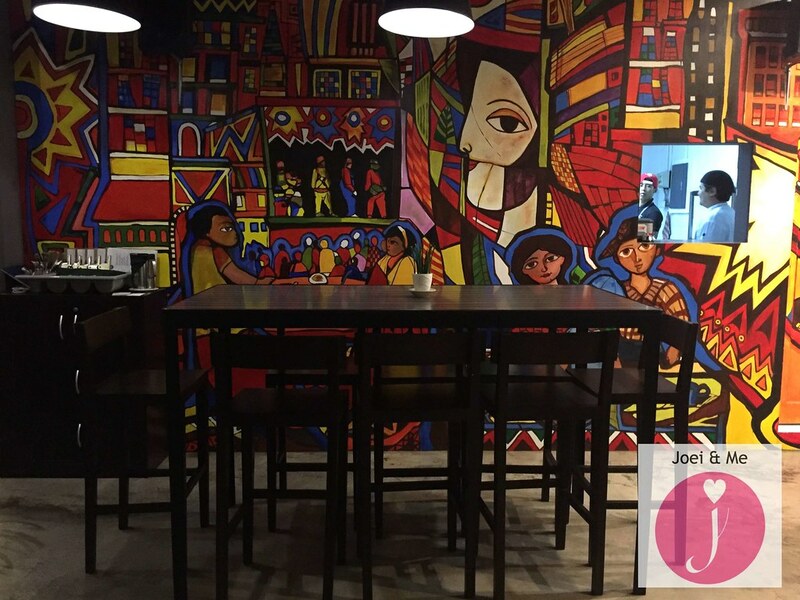 It's one of the newer restaurants in Commercenter Alabang. "Comfort food reinvented" is Belly Rub's motto. 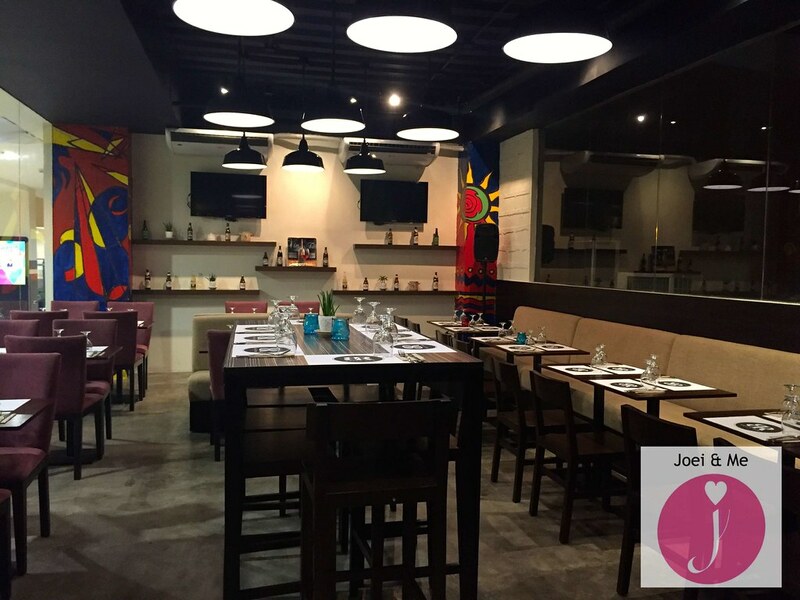 The restaurant serves American dishes with a mix of Asian and Latin flair. T and I love the artwork on the walls. It gives the place more character. 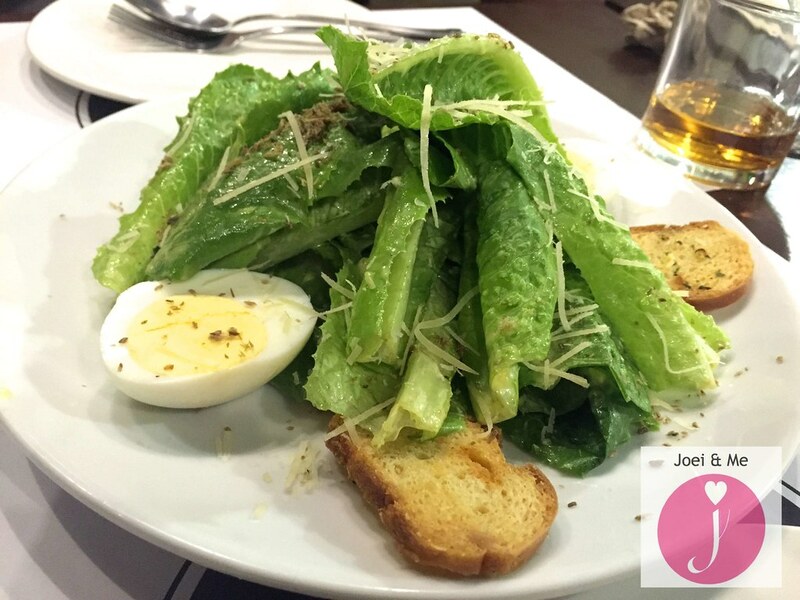 For our starter, T orders the Caesar Salad (PhP245/$5.35+) which has romaine lettuce, fried tuyo, hard-boiled egg, parmegiano reggiano, and croutons. The salad is good for just one person because it only has six or seven lettuce leaves. Yes, I counted. For me it lacks dressing as I can barely taste any but I like how there are bits of fried tuyo which at least adds to flavor to the lettuce. 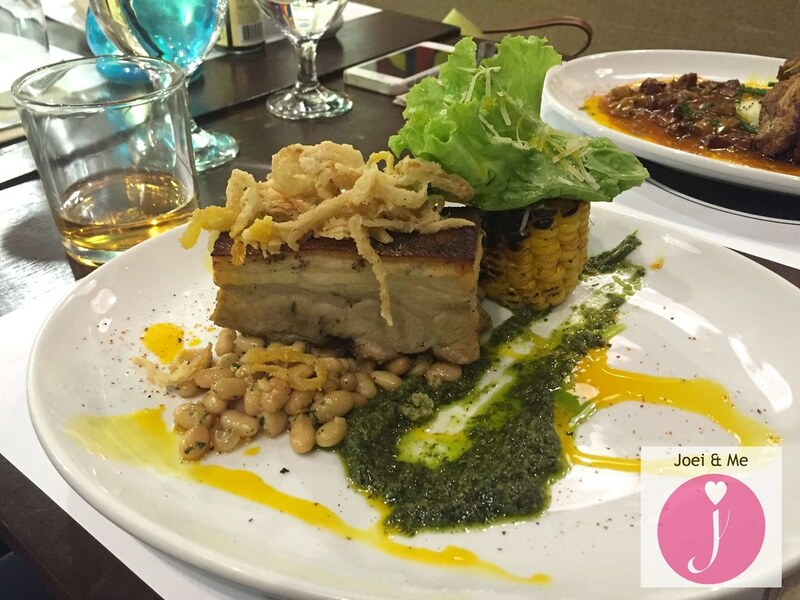 For his main, T orders the Boneless Pork Belly (PhP375/$8.15+) which is twice-cooked pork belly with lemon salt, white beans, chimi churri, Mexican corn on the cob, and crispy onions. Our server said this is a best seller. T and I like this dish because the pork belly is soft and salty. The presentation is nice, too. 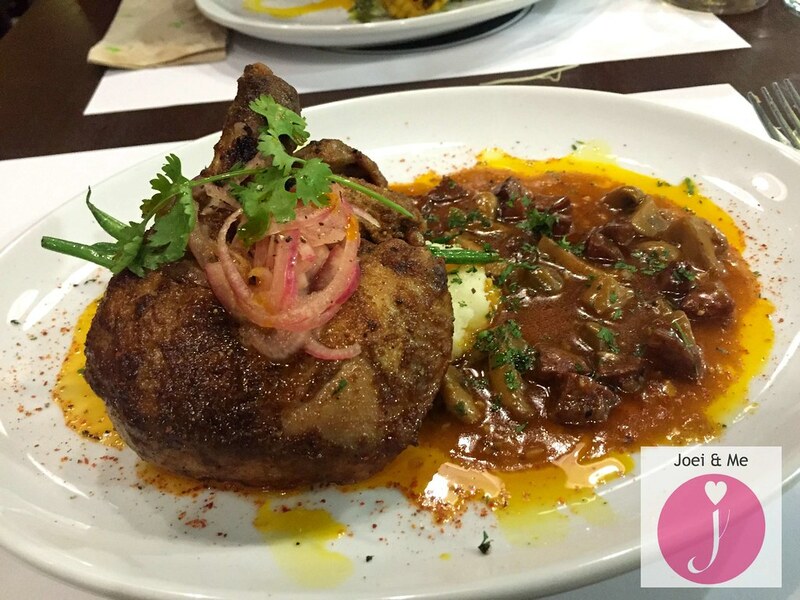 For my main, I order the Peruvian Roast Chicken (PhP360/$7.83++) which is 1/2 roasted chicken with mashed potatoes, mushroom chorizo stew, pickled onions, and cilantro. Our server said that this dish is another best seller. It's very flavorful, but maybe too much for my liking. 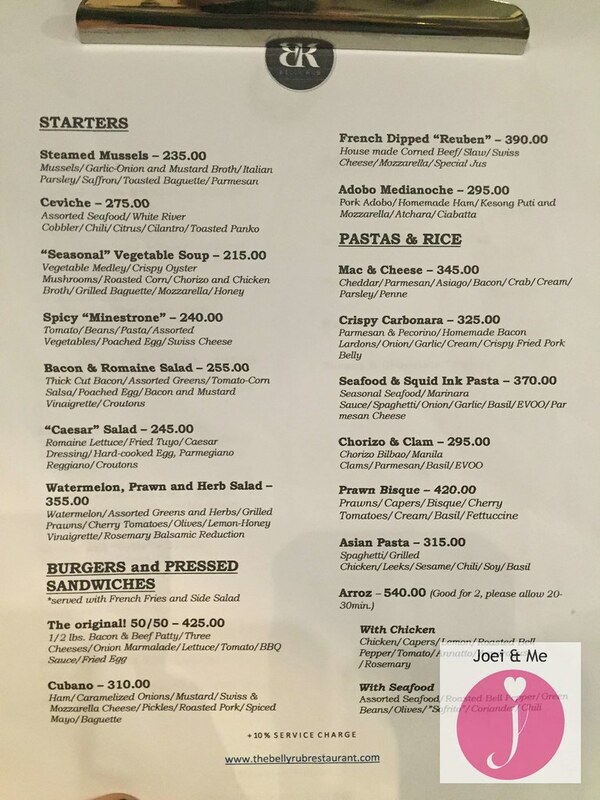 The serving is big and can be shared, which I suggest you do, because I find this dish nakakaumay if you have to finish it all by yourself. 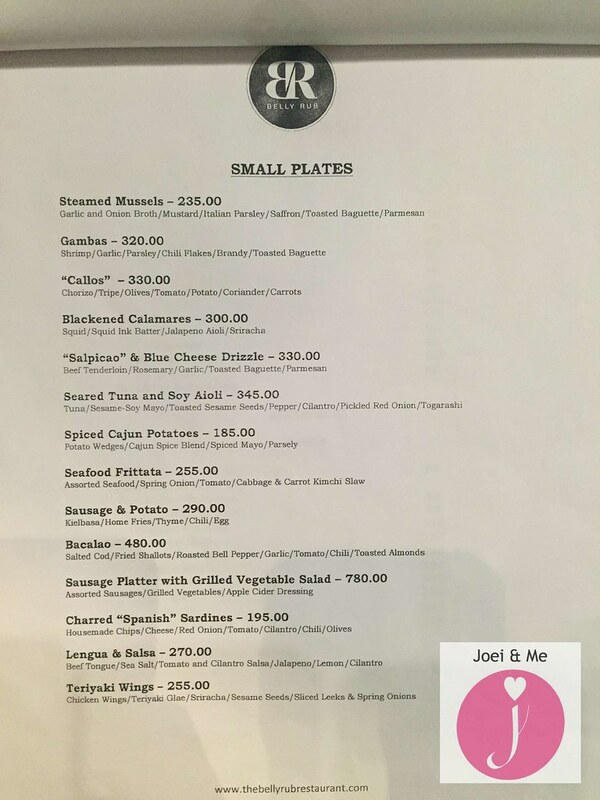 Here is a look at the other dishes on Belly Rub Restaurant's menu. 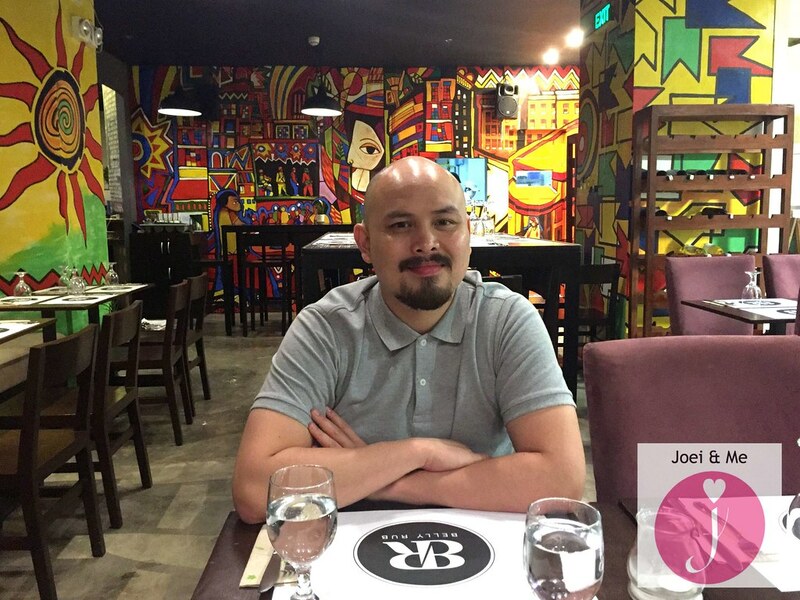 Nice ambiance because of the colorful artwork on the walls. When we were done with our meal, T wanted more water and I wanted to ask for the bill because we were running late for the movie but the server was busy talking to the people in the kitchen. We raised our hands and said "excuse me" several times but no one paid attention to us. I don't know if the music was too loud or they were just too engrossed in their conversation but we had to yell (I am not exaggerating, I really yelled) a couple of times before we got anyone's attention. After that incident, I guess they sensed our annoyance and they refilled our water glasses quickly and asked us how our food was.